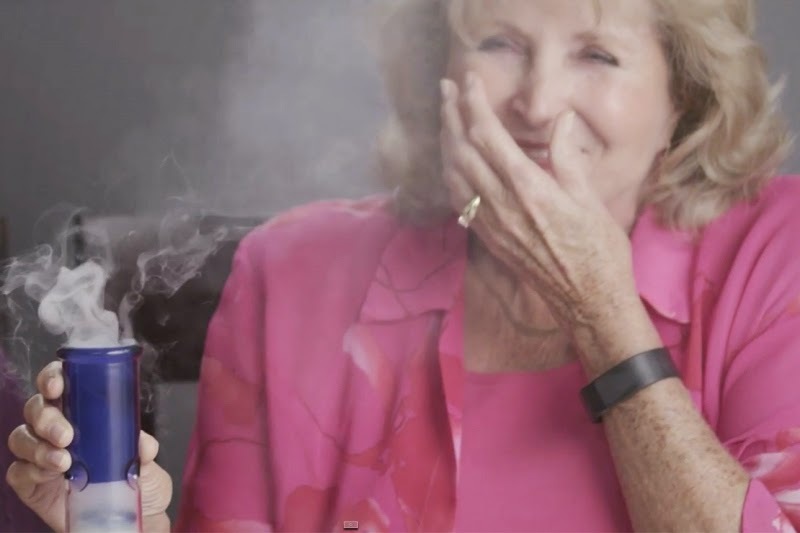 This hilarious video from Cut Video on YouTube interviews three Grandmas who smoke weed for the first time on camera. The results are hilarious and enlightening. They navigate through lighting and using a bong, as well as a vaporizer. The video shows them playing Jenga and Cards Against Humanity. One of them talks about how they can see the benefits of marijuana, while the others are giggly and lose concentration on what she was talking about. I have personally only smoked weed a few times. The first couple of times I only smoked a little and was very relaxed and happy. The last time I smoked weed, over ten years ago, I became extremely anxious and had a panic attack. While I haven't smoked since, I'm really glad that a lot of the stigmas that have previously been attached to it have been debunked and that many states have legalized usage of it. I think criminalizing marijuana is one of the dumbest burdens that we've put on our legal system. Let people enjoy themselves and make their own decisions.